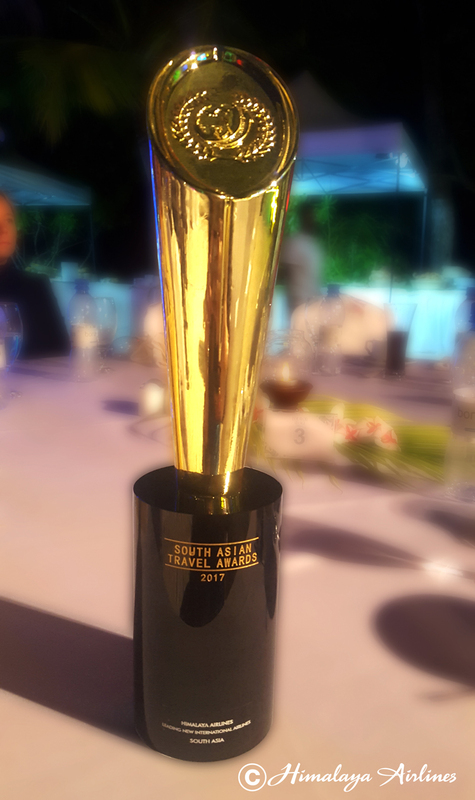 KATHMANDU, Oct 29 : The Himalaya Airlines, private international airline of Nepal has been awarded with “Leading New International Airlines in South Asia” at South Asian Travel Awards (SATA) 2017 amid a procession held in Equator Village, Addu City, Maldives on October 28, 2017. 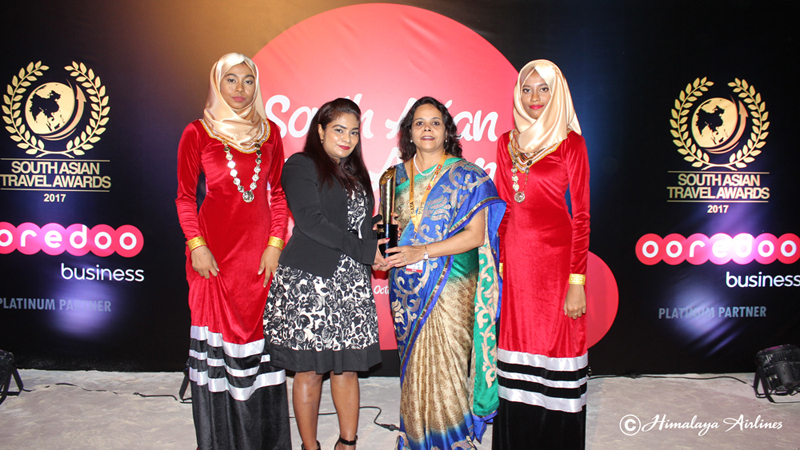 In a gala event, organized by SATA, Ms. Ibthishama Ahmeed Saeed, General Manager – Gan International Airport presented the award to Ms. Ujjwala Dali, Head of Department – Brand and Service Improvement Department in the Gold Category under visitor’s choice. This is the first international award received by the carrier. The airlines has expressed its gratitude to all the passengers claiming it has given tremendous boost to H9 family to excel further and rise higher in the aviation sector by making an release late Sunday. The process for voting was opened online during the period May 31 till August 31, 2017. The online voting was secured with a 2 factor authentication system reducing the chances of using circumventing applications. Each voter had to register individually before being directed to the voting platform thus increasing the authenticity of the votes. Himalaya Airlines had made a corporate overview presentation highlighting it’s achievements to the esteemed panel of judges during their visit to Kathmandu earlier in August 2017.